Ok, Goldilocks…since you wanted something that was not too big and was not too small, here we offerthe Ju Ju Be BeTween! Ju Ju Be BeTween offers a big mommy pocket, an easy access diapers and wipes compartment on top, plusa gusseted entry to the main compartment make this bag just right! The Ju-Ju-Be Be Light Tote Bag is chic, smart, ultra-light and functional with extra pockets for added versatility. Its one thing to be light. Its another to be ultra crazy, feather light! This awesome tote can pack down so small that youll swear its not really there, but it still holds a ton when you need it to. Perfect sized straps and just the right number of pockets. You wont find a better bagonly heavier ones! The inner lining is protected with an Agion natural antimicrobial treatment that inhibits and reduces the growth of odor-causing bacteria, mold and mildew. The outer fabric is treated with Teflon fabric protector, making it easy to repel stains and keep the Be Light clean. The Be Light has (3) total pockets for keeping you ultra-organized – (2) on the front and (1) on the inside – and a 12-inch drop strap. The front of the Be Light has (2) Thinsulate-lined pockets that will help you to keep all your beverages hot or cold. The main zippered section is large enough to hold all your daily essentials, plus some extra room for things like diapers, wipes and soft toys for your little one. Inside the main section is a zippered inner pocket that is perfect for holding cell phones, sunglasses and even your camera. This bag is machine washable and measures 12-inches by 14-inches by 3-inches in size. 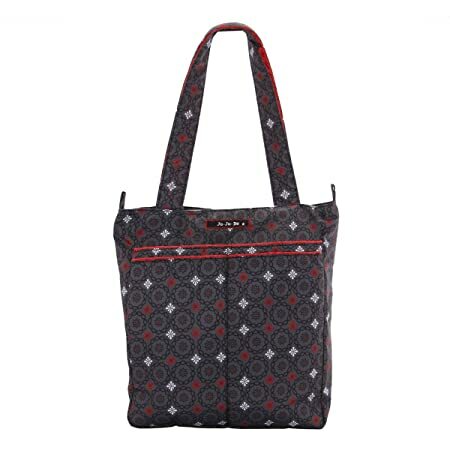 The Magic Merlot print is accented by silver colored metal hardware. The Ju-Ju-Be Be Light Tote Bag comes with a 90-day limited warranty that protects against manufacturing defects. Founded in 2005, Ju-Ju-Be is a Southern California company that fuses science, style, and attitude to create diaper bags, purses and other accessories that are both fashionable and fun. Ju-Ju-Be assimilated the most advanced technology possible to create a stylish and intelligent product line that’s unrivaled in the industry. 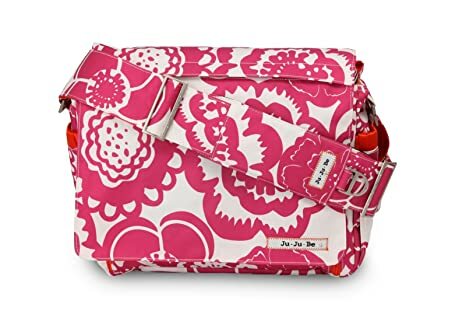 The Ju-Ju-Be Be Right Back Backpack Diaper Bag is chic, smart and functional with added innovation and versatility. The Be Right Back is everything you want in a backpack diaper bag, but with stylish design, ergo straps and breathable mesh to keep you comfortable! The Be Right Back is great for adventures, day trips, or everyday outings. The lining is protected with Agion natural antimicrobial treatment, which inhibits and reduces the growth of odor causing bacteria, mold and mildew. The outer fabric is treated with Teflon fabric protector, making it easy to repel stains and keep it clean. The front “mommy” zippered pocket is large enough to hold smartphones, wallets, keys and other personal items. Inside are (2) smaller pockets with a key fob stretch cord and a sunglass holder. A small external zippered pocket is constructed with soft felt that’s perfect for small delicate items. The main zippered pocket is large enough for diapers, wipes, extra clothes and other items needed when you’re on the go. “Smart” pockets are located on the front and top of the bag, perfect for storing additional diapers or wipes with easy accessibility. The back zippered pocket has an 11.5-inch opening that’s large enough for your tablet or children’s books and includes a matching memory foam changing pad. Bottle pockets are located on either side of the bag and insulated to keep your items hot or cold. The ergonomically curved shoulder straps with textured fabric underneath prevent the straps from sliding off your shoulders. This bag is machine washable and measures 12-inches by 16-inches by 5-inches in size. The Ju-Ju-Be Be Right Back Backpack Diaper Bag comes with a 90-day limited warranty that protects against manufacturing defects. Ju Ju Be’s Be All bag is smart, that sums it up. You’re smart so your bag should be too. Friendly pockets make it easy to tote along the stuff and anti-microbial linings let you worry about having fun, not fighting germs. Colorful linings make it even more like you- a surprise on the inside. Teflon treated outer fabrics make the bag easy to clean and stain resistant. A picture pocket to keep photo’s handy when bragging to friends, mommy pocket with extra long key clip, cosmetics pouch and sunglasses case that you can use to clean and store your lenses, are just a few of the features of this bag. There is also a separate diaper changing station that includes a mess shuttle. No more digging for supplies as they are all in one place. The bag has swivel attachment points for the Be Connected stroller clips that are sold separately. The adjustable shoulder strap includes a top notch shoulder pad with memory foam and a grippy texture underneath for comfort and it won’t slide off your shoulder. Crumb drains get rid of the mess so it doesn’t stay in your bag. Machine washable. Measures 14″ x 11′”x 5.5″. Ju Ju Be’s Be All bag is smart, that sums it up. You’re smart so your bag should be too. Friendly pockets make it easy to tote along the stuff and anti-microbial linings let you worry about having fun, not fighting germs. Colorful linings make it even more like you- a surprise on the inside. Teflon treated outer fabrics make the bag easy to clean and stain resistant. A picture pocket to keep photo’s handy when bragging to friends, mommy pocket with extra long key clip, cosmetics pouch and sunglasses case that you can use to clean and store your lenses, are just a few of the features of this bag. There is also a separate diaper changing station that includes a mess shuttle. No more digging for supplies as they are all in one place. The bag has swivel attachment points for the Be Connected stroller clips that are sold separately. The adjustable shoulder strap includes a top notch shoulder pad with memory foam and a grippy texture underneath for comfort and it won’t slide off your shoulder. Crumb drains get rid of the mess so it doesn’t stay in your bag. Machine washable. Measures 14″ x 11″x 5.5″. This bag makes all the other bags jealous. 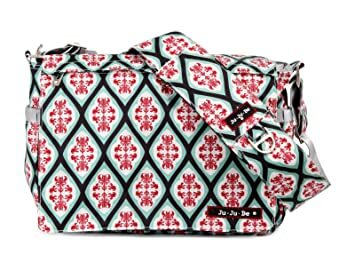 Fun features of the Ju-Ju-Be Be All Diaper Bag include a picture pocket to keep photos handy when bragging to friends, separate diaper changing station, and mommy pocket with extra-long key clip, cosmetics pouch and sunglasses case that you can use to clean and store your lenses. The adjustable strap includes a shoulder pad with memory foam and a grippy textile underneath to keep the straps from sliding off your shoulders. Ju-Ju-Be provides today’s parents with the best of technology, style and attitude. This functional collection of diaper bags is intelligent while still fashionable and fun! 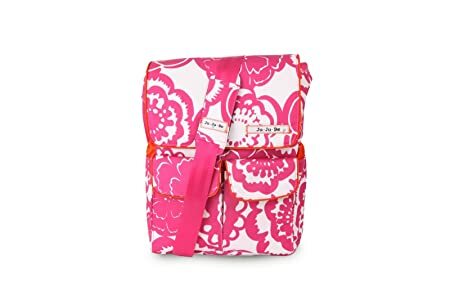 Every Ju-Ju-Be diaper bag features a brightly-colored satin waterproof lining with a special antimicrobial treatment to kill germs, mildew, fungus and bacteria. Other smart features include a comfy memory foam changing pad, Teflon fabric protector to keep stains at bay, insulated bottle pockets, quiet and easy magnet closures, a “mommy pocket” with easy access and tons of great organization, and special “crumb drains” at the bottom of the bag pockets so crumbs stay out of your bag and out of your way. The convenience of a Ju-Ju-Be diaper bag just cant be beat! Charge it. This double-sided, slotted card case is the perfect size if you just need to run out quickly, or throw it in a smaller pocket on your Ju-Ju-be bag. Featuring 4 credit card slots, an insert pocket and a D ring that can clip on to your keys, the Be Charged is a perfect way to accomplish ultimate organization without taking up a lot of room. All Ju-Ju-Be items come with a Lifetime Limited Warranty against manufacturing defects when purchased from an Authorized Ju-Ju-Be Dealer. Authorized Dealers can be found in the images. Founded in 2005, Ju-Ju-Be is a Southern California company that uses science, style, and attitude to create diaper bags, purses and other fashionable accessories. Ju-Ju-Be assimilated the most advanced technology possible to create a stylish and intelligent product line that’s unrivaled in the industry. 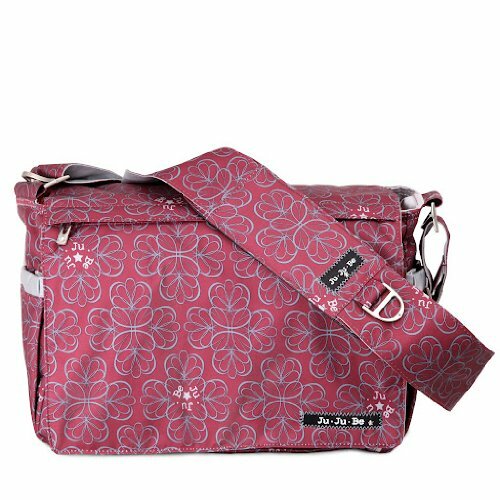 The Ju-Ju-Be 12MM01ALTW Better Be Messenger Style Diaper Bag is smart bag that has an innovative design and a number of pockets for extra versatility. Is your diaper bag machine washable? It BETTER BE! Is your diaper bag lined with light colored, antimicrobial linings? It BETTER BE! 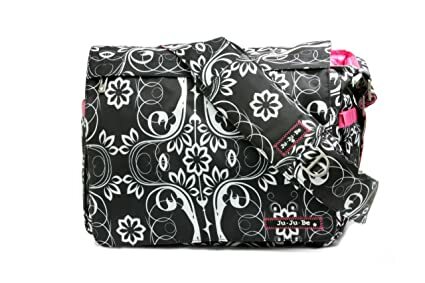 This messenger style diaper bag is perfect for any mom or dad on-the-go! The outer fabric is treated with Teflon fabric protector, making it easy to repeal stains and keep your better be bag clean. The front “mommy” zippered pocket is large enough to hold smartphones, wallets, keys and other personal items. Inside are (2) smaller zippered pockets with a sunglass case, lipstick loop and key fob stretch cord. The main pocket is large enough for a supply of diapers, wipes, soft toys, extra clothes and other items for a quick trip away from the house. Located on the external flap is a zippered pocket, perfect for storing a few additional diapers. The back pocket is designed with crumb drains to keep the better be clean and includes a super cushy memory foam changing pad. “Bottle” pockets are located on either side of the bag and insulated by 3m Thinsulate to keep all your items hot or cold. The Licorice Twirl design is a black fabric that’s lined in a cream trim, detailed with metal hardware and an adjustable memory foam shoulder strap with textured fabric underneath to prevent the bag from sliding off your shoulder. This bag is machine washable and measures 14-inches by 11-inches by 2-inches in size. 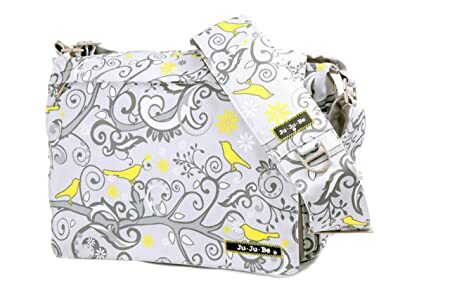 The Ju-Ju-Be 12MM01ALTW Better Be Messenger Style Diaper Bag comes with a 90-day limited warranty that protects against manufacturing defects. 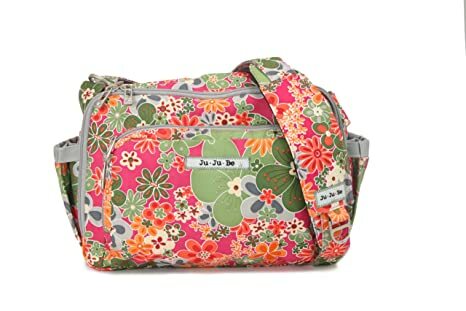 The Ju-Ju-Be 12MM01AFLP Better Be Messenger Style Diaper Bag is smart bag that has an innovative design and a number of pockets for extra versatility. Is your diaper bag machine washable? It BETTER BE! Is your diaper bag lined with light colored, antimicrobial linings? It BETTER BE! This messenger style diaper bag is perfect for any mom or dad on-the-go! The outer fabric is treated with Teflon fabric protector, making it easy to repeal stains and keep your better be bag clean. 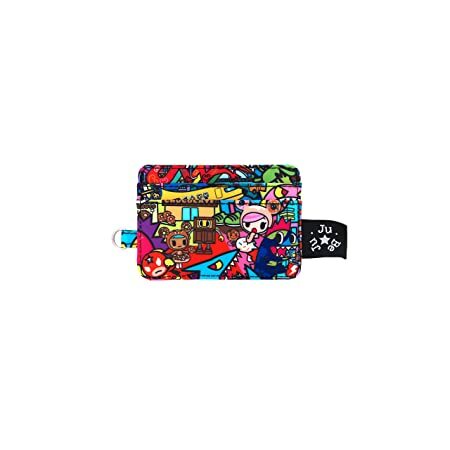 The front “mommy” zippered pocket is large enough to hold smartphones, wallets, keys and other personal items. Inside are (2) smaller zippered pockets with a sunglass case, lipstick loop and key fob stretch cord. The main pocket is large enough for a supply of diapers, wipes, soft toys, extra clothes and other items for a quick trip away from the house. Located on the external flap is a zippered pocket, perfect for storing a few additional diapers. The back pocket is designed with crumb drains to keep the better be clean and includes a super cushy memory foam changing pad. “Bottle” pockets are located on either side of the bag and insulated by 3m Thinsulate to keep all your items hot or cold. The flower power design is a multi colored fabric that’s lined in a bright yellow trim, detailed with metal hardware and an adjustable memory foam shoulder strap with textured fabric underneath to prevent the bag from sliding off your shoulder. This bag is machine washable and measures 14-inches by 11-inches by 2-inches in size. 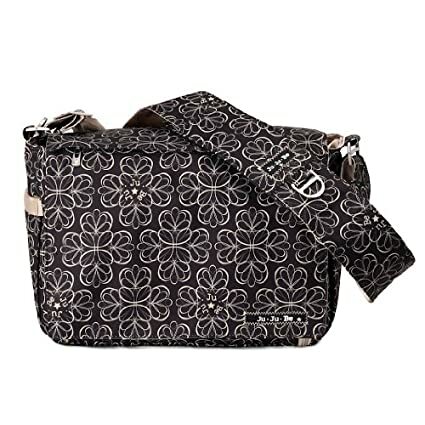 The Ju-Ju-Be 12MM01AFLP Better Be Messenger Style Diaper Bag comes with a 90-day limited warranty that protects against manufacturing defects.